Writing about a movie like The 400 Blows is always a daunting effort, because better writers than you have already written nearly everything that could be said better than you could ever hope to say it. Fool that I am, I thought I’d give it crack anyway. Besides, I thought, this feature could really use a film made before the 1980s. In case you don’t remember, The 400 Blows is a 1959 black and white film that marks the debut of Francois Truffaut and (debatably) the French New Wave. It stars Jean-Pierre Leaud as Antoine, a preteen with uninvolved parents and a teacher that’s branded him a troublemaker. His mom is cruel and impatient. His stepfather is seemingly evenhanded and cheery until an accident and a lie set him over the edge. Antoine begins the movie in trouble after being caught with a pin-up that was passed around the class in hand. His problems continue from there when he proceeds to cut school, steal, lie to cover up cutting school, run away, and smoke cigarettes and cigars – each occurring in response to some mistreatment by his teacher or parents. His attempt to pay homage to both his grandfather and Balzac in a writing assignment leads to accusations of plagiarism and being expelled from school. This is the final straw that ultimately causes society to give up on him, the events of which I won’t spoil as they make up the climax of the film. This all probably sounds terribly depressing on paper (or computer screen, as the case may be). 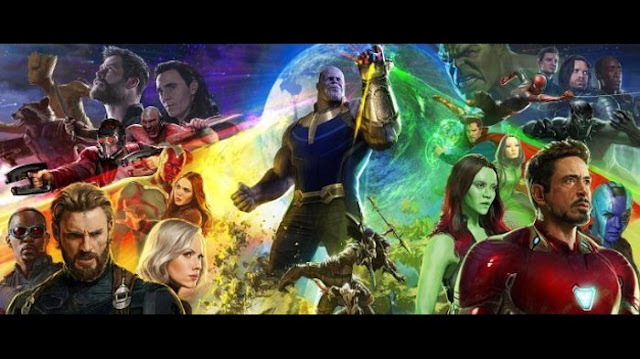 But the film is so emotionally distant devoid of any swelling score or connection between audience and character that it’s hard for one to be moved or inspired. Antoine is emotionally distant, as well, for he displays hardly any feelings, aside from a few tears. One may be able to explain this away as a by-product of his parents’ loveless marriage, but the film doesn’t make that evident. The one scene that stuck with me most is a climactic scene wherein Antoine, via interview, gives the audience a frank account of his history. 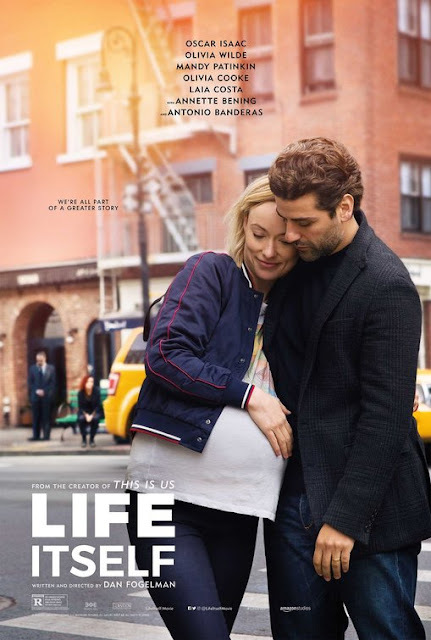 I’ve read many reviews that speak of this film as an emotionally-wrenching experience, which baffles me given the acting and matter-of-fact execution. It is more like watching a sterile documentary about the adolescent experience in Paris than a story with dramatic arcs or emotional pay-offs. Now, before any of you scoff and start firing up your angry emails, I will quickly add that this constitutes as the only flaw to what is otherwise an impressively directed and acted criticism of society, inspired by Truffaut’s own childhood. 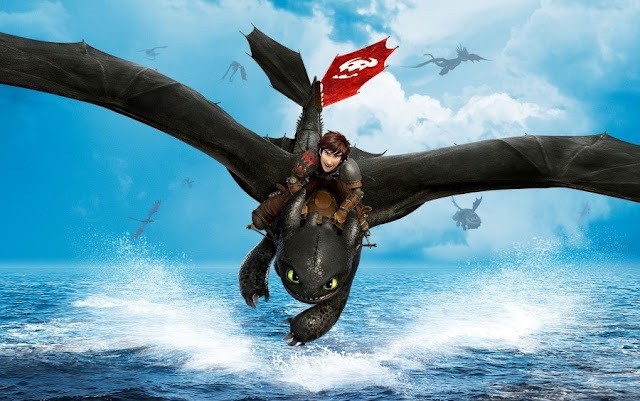 The above statements are not intended to dissuade anybody from seeing this film. Despite feeling distanced from the story, I never stopped caring about what happened to Antoine. 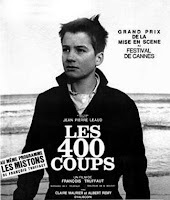 Due to its mastered direction, The 400 Blows manages to be an interesting watch, never once becoming the dull and dreary experience art house films are reputed to be. The 400 Blows is dedicated to critic Andre Bazin, no doubt because Bazin saved Truffaut from many scrapes as a young man and, as a result, could probably be credited as the man who made Truffaut’s future in film possible. Bazin’s work would influence one of the most recognizable of all theories, the auteur theory, which would be championed by Truffaut and applied to his contemporaries, as well as Alfred Hitchcock, Martin Scorsese, Steven Spielberg, Stanley Kubrick, and any other filmmaker who essentially authored a film with their own personal stamp. For those who are unfamiliar, the French New Wave was an informal movement in film that was literally comprised of a new wave of French directors, who decided to shake-up filmmaking from the classic styles into something more personal and distinct, experimentally shot and edited, and thematically deeper. Other prominent directors associated with the French New Wave include Jean-Luc Godard (Breathless), Eric Rohmer (Claire’s Knee), Louis Malle (My Dinner with Andre), and Jean-Pierre Melville (Le Samourai). The movement only lasted for six years, but it had a profound effect on American cinema in the ‘70s and ripples from that era can still be seen today in works by the likes of Darren Aronofsky (The Wrestler), Michel Gondry (Eternal Sunshine of the Spotless Mind), Quentin Tarantino (Inglorious Basterds), and Christopher Nolan (Memento). Francois Truffaut directed twenty-five films and appeared in Spielberg’s Close Encounters of the Third Kind before succumbing to a brain tumor in 1984. Other notable films he authored include Jules and Jim, Fahrenheit 451, The Wild Child, and Small Change. Should you see it? Every film lover should Rent this classic - or hang their head in shame. The 400 Blows is available on Criterion DVD or Blu-Ray.